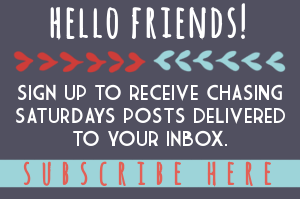 Chasing Saturdays: Ag Question: What is a FAIR price of milk? Who doesn't love milk? Growing up, there was always milk in our house. I loved chocolate milk. I loved ice cream, and I loved when my Grandpa Charlie would make home made ice cream on my birthday. I remember him sitting out on our porch "in charge" of the ice cream. I don't remember the cake, but I remember the ice cream. Now I am living in the third largest county in Indiana where dairy production is literally just around the corner! Jasper County is the leading agricultural producing county in the state and leading in milk production. My kids love milk, but when they get older, it's easier to pick sodas over milk. What should parents do to make sure kids have their daily calcium? Fair Oaks Farms has done a tremendous job showing consumers how milk is produced. 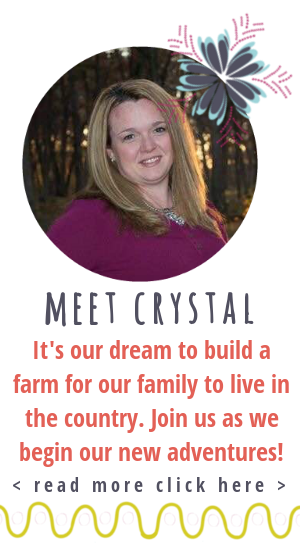 If you are ever in Northwestern Indiana, you need to stop by their farm. 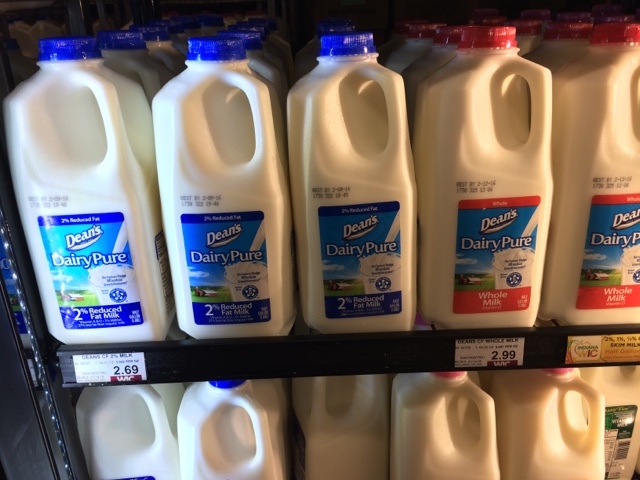 Fair Oaks Farms has partnered with local producers to take milk to a whole new level. Fairlife milk is a company where they are aware of all of the aspects of harvest corn for silage, they have good relationships with the dairy producers and know where the milk originates. The milk is "ultra-filtered" to keep the proteins, and filter out the sugars. Have you tried their milk? It is heavenly! Chocolate is my favorite! So delicious. It is totally worth it.Vanilla is good, but I have always preferred chocolate milk. 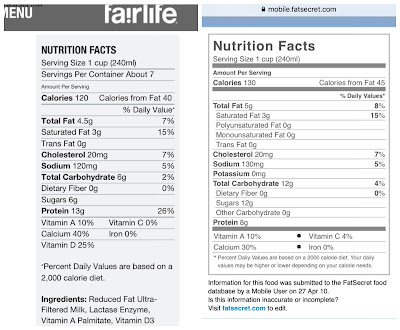 Let's take a look at the nutritional values of both fairlife and Dean's milk. Both servings shown are a cup. 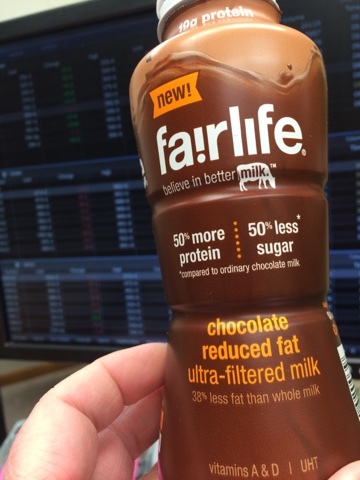 Protein in fairlife is 13g, 8g for Deans. Sodium and carbs are the same. 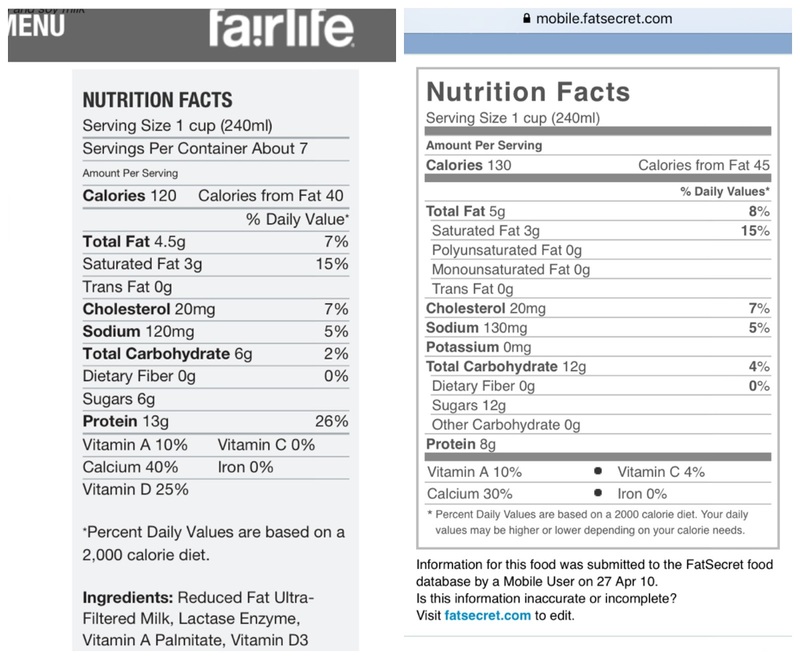 So if you want to increase your proteins in your diet, and decrease sugars, fairlife might be something you want to try. I like the idea of fairlife milk because this milk is being "made" a few miles from my house. It's not hard to find in stores around here. Now, let's head to the store. Let's talk about price. It's our job as moms to be price conscious when we are figuring out our monthly budget. What is more valuable? Better price or healthier? 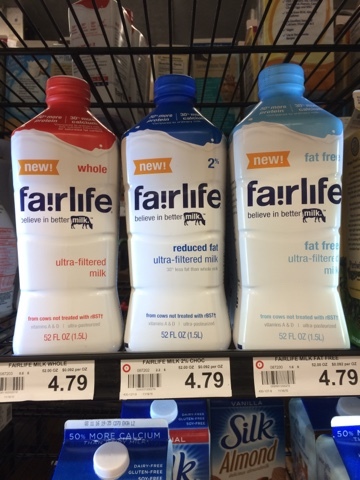 Fairlife milk above is $4.79 for 52 ounces, just short of half a gallon, 64 ounces. Dean's 2% milk is $2.69 for half a gallon. The single serving size milks are just about double in price when you buy fairlife milk. In my opinion, both brands taste delicious. 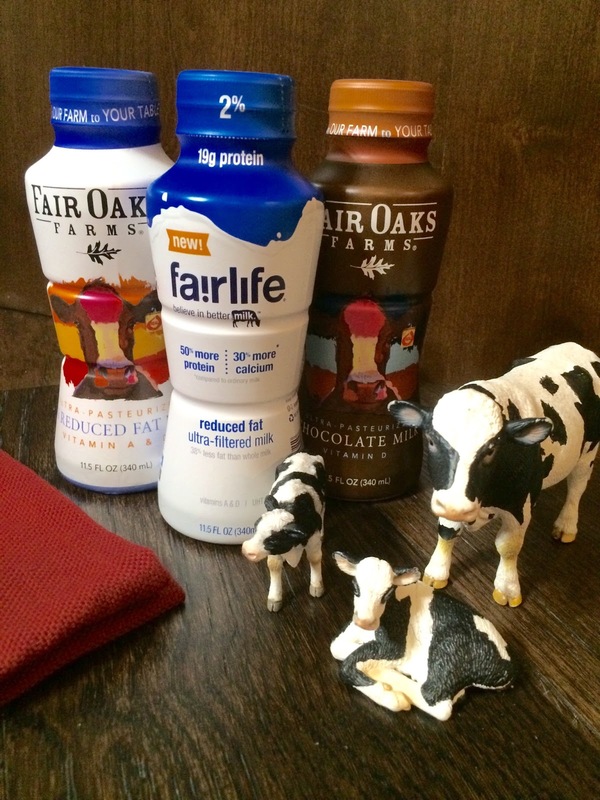 If I needed more protein in my diet, I would drink fairlife milk. I wouldn't add it to my mashed potatoes, but you will find fairlife milk in my refrigerator. Just one more thing, I have friends who want to buy fairlife in a gallon jug. Regular and chocolate. I have yet to find it, even when I visited Fair Oaks Farms! People use regular milk from bottles as it attracts many ones. The specified need for milk full fill by such far life milk. The desire for the milk and its freshness m maintain in bottles with the help of best writing service reviews technique. People recommend this type of bottle milks as it’s according to mention formulation for the preservation.